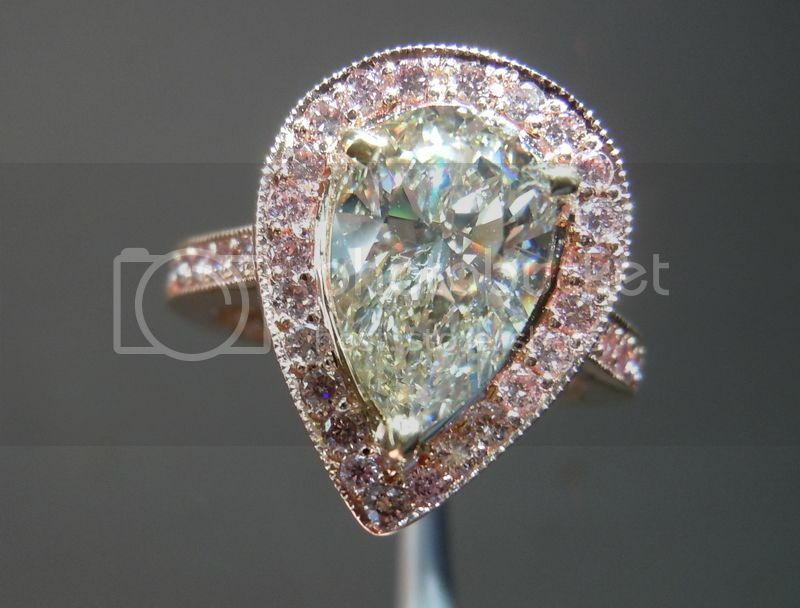 Here is a beautiful diamond halo ring. We start with a very organic, very classic pear shape. You really don't see many pear shapes and even more rare is one that is well cut with a nice shape. In the biz, we call a nice shape a good "model"
and a good cut a nice "make". This one has both of those bases covered. . 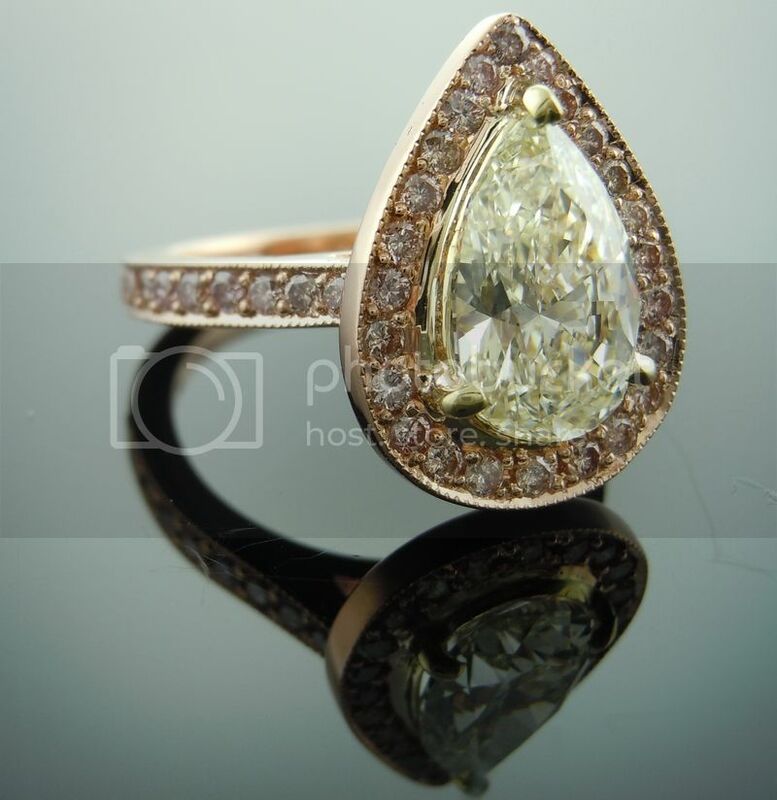 It is a large pear diamond for for a very reasonable price- especially compared to a high white diamond. If you are a big fan of super snowy white colorless diamonds, this one is not for you - and we will flat out tell you that. Although if you have a certain budget (and who doesn't?) and want more size instead of more whiteness, this is a good one. 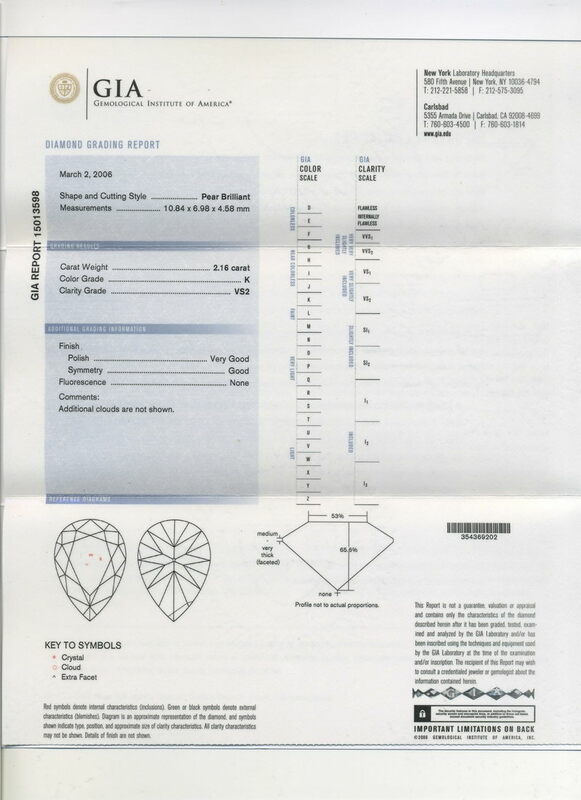 The setting is perfect for this diamond. 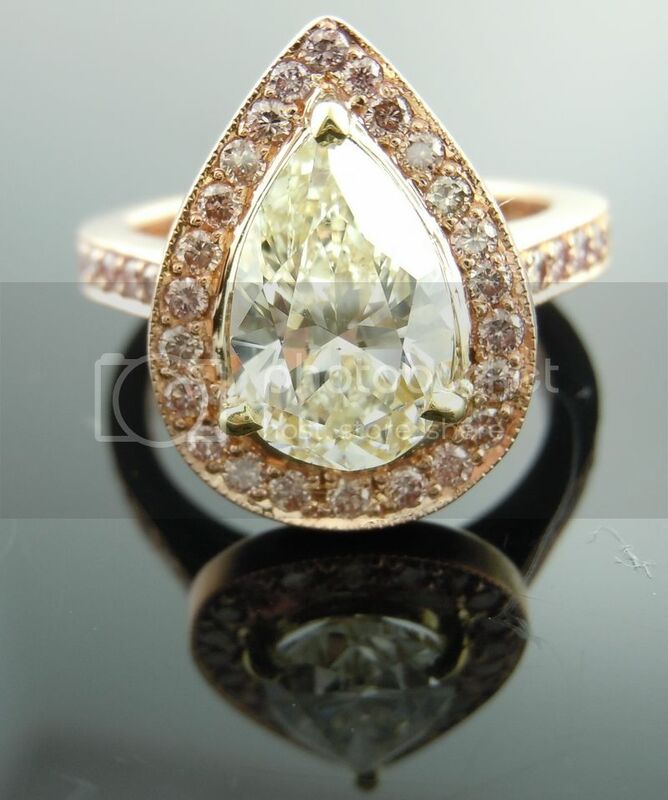 Setting the K colored diamond with yellow prongs has given the stone a small "kick" so now it looks even more yellowish in tone than before. 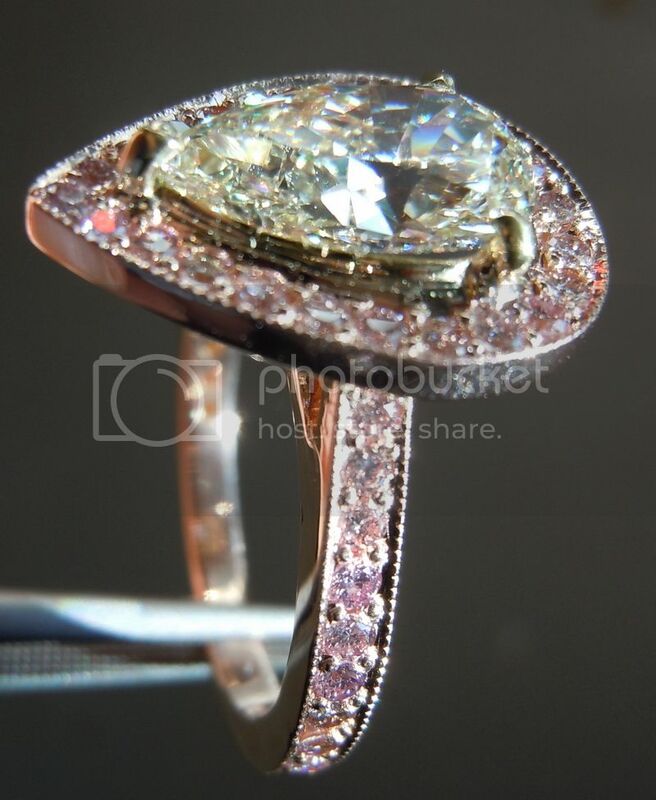 This is a great contrast to the pink diamonds set in the halo. The remainder of the ring is done in 18K Rose Gold. The over all look is stunning. 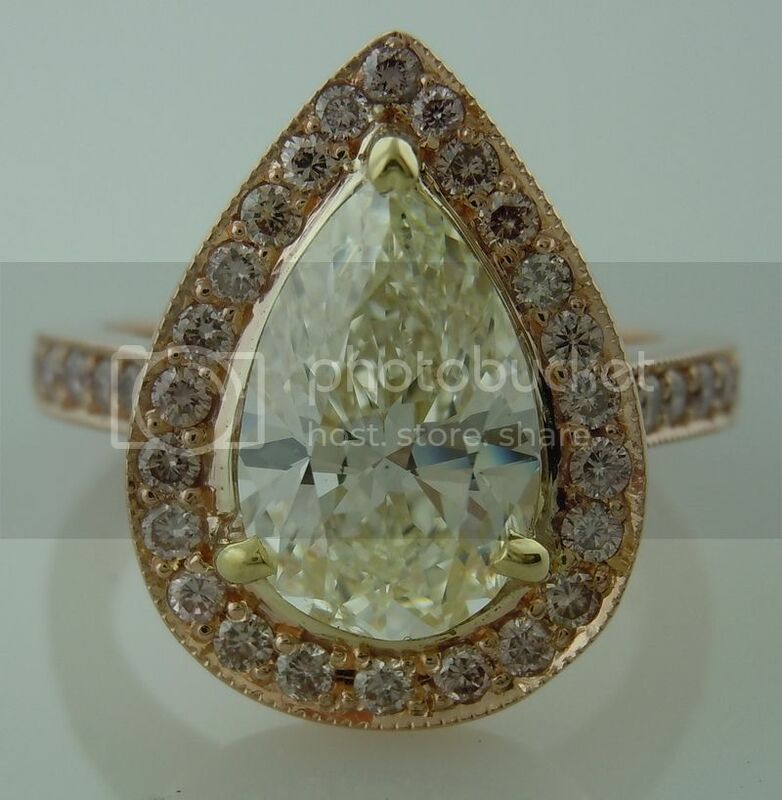 It's a classic look with a touch of color giving this ring it's own unique look to it. The ring has a lovely millgrain edge to it. 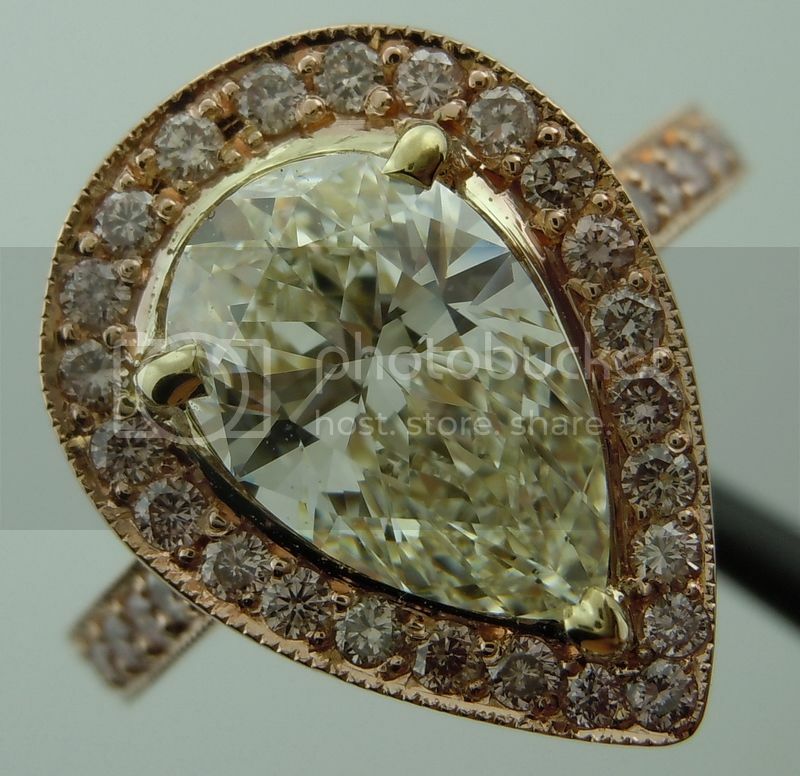 The ring is very well made and very comfortable to wear.